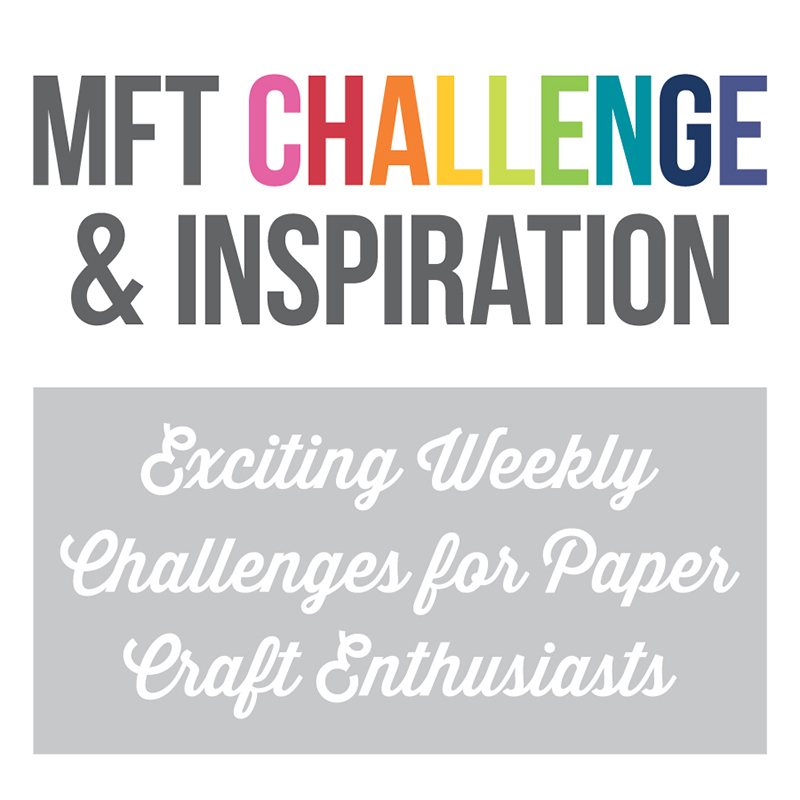 Hi, everyone, I’m back with this week’s MFT Wednesday Sketch Challenge! Are you ready? Here’s this week’s sketch. 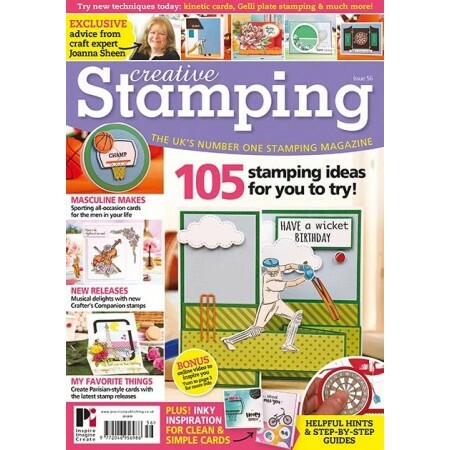 All of the details about the sketch challenge are available on the MFT Challenge & Inspiration blog as well as in the weekly newsletter. The MFT Design Team will be on hand to provide plenty of inspiration to get you started. I thought a “Stay Warm” card would be a good idea right about now ;-) I started with a Sweet Tooth card stock base. Then I added another panel of Sweet Tooth card stock on which I stamped the mitten image from BB Cool Day over and over with Versamark, heat embossed with white detail embossing powder, and popped it up on the base with foam mounting tape. Next I added On-Point Patterns Paper Pack cut with Pierced Fishtail Flag STAX Die-namics. Then some Ranger Watercolor Paper with a wash using Peerless Watercolors and Snow Drifts Die-namics cut from Sweet Tooth card stock. The bear image was stamped on X-Press It Blending Card with Black Licorice hybrid ink, colored with Copic markers, and popped up on foam. The sentiment strip was cut from Olive card stock with Tag Builders Blueprints 6 Die-namics, stamped with Versamark, heat embossed, and also popped up on foam. I finished off with some matching enamel dots. And there you have it! Remember, you can get all the details by visiting the MFT Challenge Blog. You have the chance to win a $20 in MFT voucher. One winner is chosen at random each week! 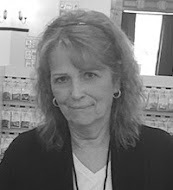 MFT December Creative Construction with Blueprints—Shaking Things Up! Everyone loves a shaker card, right? So many of the elements included in Blueprints provide easy and innovative means of creating these delightful little interactive looks. Our team has been busy exploring different ways of incorporating Blueprints into their shaker cards and we can’t wait to share their ideas with you! 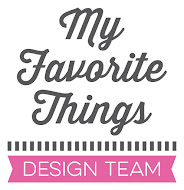 Be sure to stop by the MFT Blog to see what the other design team members have come up with. What a fun way to use Blueprints—and you know I love me a shaker card! As I was deciding what to do, I was looking for elements large enough to show the shaker elements to full effect but not totally dominate my card. I chose Blueprints 11 Die-namics and used the wavy opening and sentiment for my shaker element. I backed it with Sheet Music Background stamped on Sweet Tooth card stock with Black Licorice dye ink, and created my shaker element with foam mounting tape, Heat Resistant Acetate card stock, and the filler sequins listed below. For the card front I stamped Abstract Background and Tiny Stars Background on Ranger Watercolor Paper with Versamark and heat embossed with white detail embossing powder. Abstract Background reminds me of a constellation map so it works well with Tiny Stars Background, I think. Then I applied a Peerless Watercolor wash and built the shaker element. I added part of a sentiment from BB Penguins in Paradise stamped on Black Licorice card stock cut with Blueprints 22 Die-namics and also heat embossed and popped up on foam mounting tape. Some Silver Sparkle card stock stars, cut with Blueprints 11 Die-namics and Blueprints 25 Die-namics finished it off. MFT December New Product Release!